The 2W Ranch, formerly part of the Historic Wagon Wheel Ranch offered in multiple tracts for the first time. This historic ranch was known for its “Ranch” Quarter Horses and Beef Cattle. The previous owners of the ranch did not allow hunting so the native wildlife has flourished throughout the years. 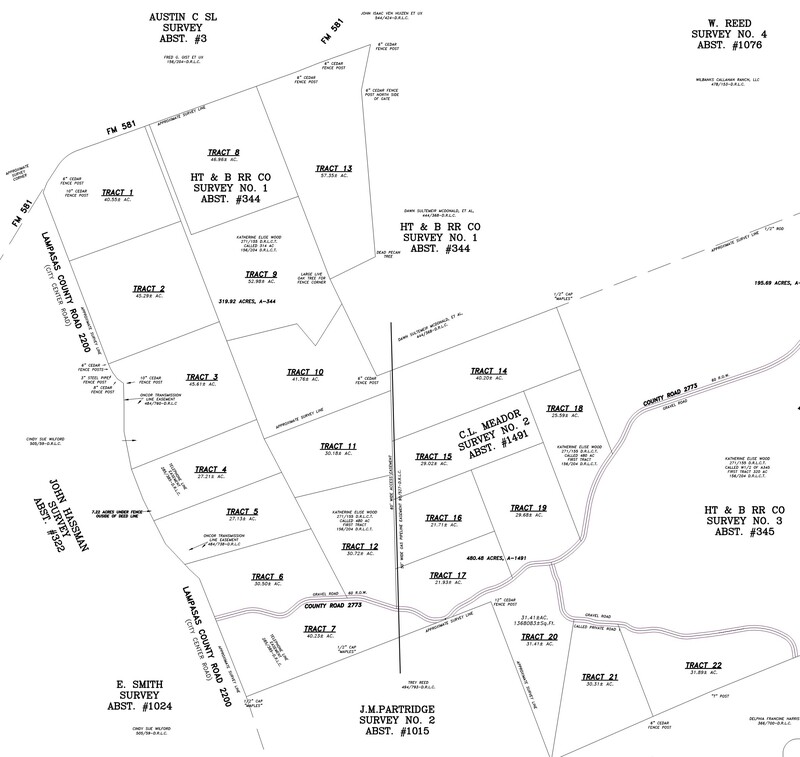 Be one of a limited number of people to own a part of this well know Central Texas ranch. The terrain varies across the 1400+ acres from high hilltops with incredible views to fertile bottoms along Bee Cave Creek. Location: Due North of Lampasas 15 miles on CR 2200, midway between Highway 183 at Lometa and Highway 281 at Adamsville. Easy access from multiple directions, 1.5 hour from Austin, 2.5 hours from the DFW Metroplex. Water: Ground water is abundant and there are multiple water wells on the ranch. Depths will range from 250’-400’ with good production. Some tracts have frontage on Bee Cave Creek, a perennial drainage that runs water most of the year. In addition there are ponds present as well as excellent locations to build ponds all across the ranch. Utilities: Electricity provided by Hamilton Electric CO-OP, water by domestic well and sewer by onsite septic. Corix rural water taps available to some tracts. Flora and Fauna: The ranch can provide excellent wildlife habitat as the soils are varied on the property and support a multitude of native grasses and forbs. Wildlife habitat is further provided on the ranch by thick wooded areas consisting mostly of cedar and mesquite. For hardwoods, there are some scattered Live Oaks and most of the creek drainages have Elm, Live Oak and some Willow. Hunting for whitetail deer, turkey, dove and other wildlife is excellent. The property is agricultural exempt. Reasonable restrictions to protect property values. Listed for $4650 to $5450 per acre.